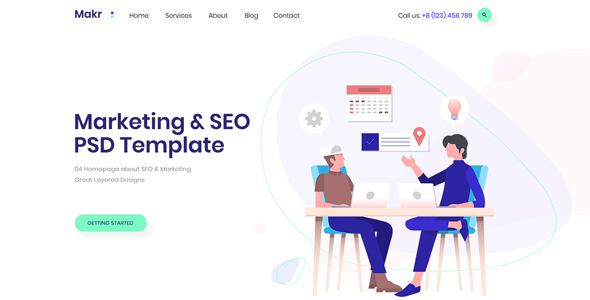 SEOmakr PSD is a SEO and Marketing PSD template for marketing team, digital marketing agency, SEO company, SAAS services, etc. The PSD template comes with 4 modern and elegant, highly customizable SEO & Marketing premade demos. The demos are amazingly gorgeous with tons of beautiful UI elements that could serve many purposes.